REED click is a simple board that carries a standard (Single Pole Single Throw Normally Open) reed switch. A reed switch comprises of two thin magnetic contacts sealed inside a casing. 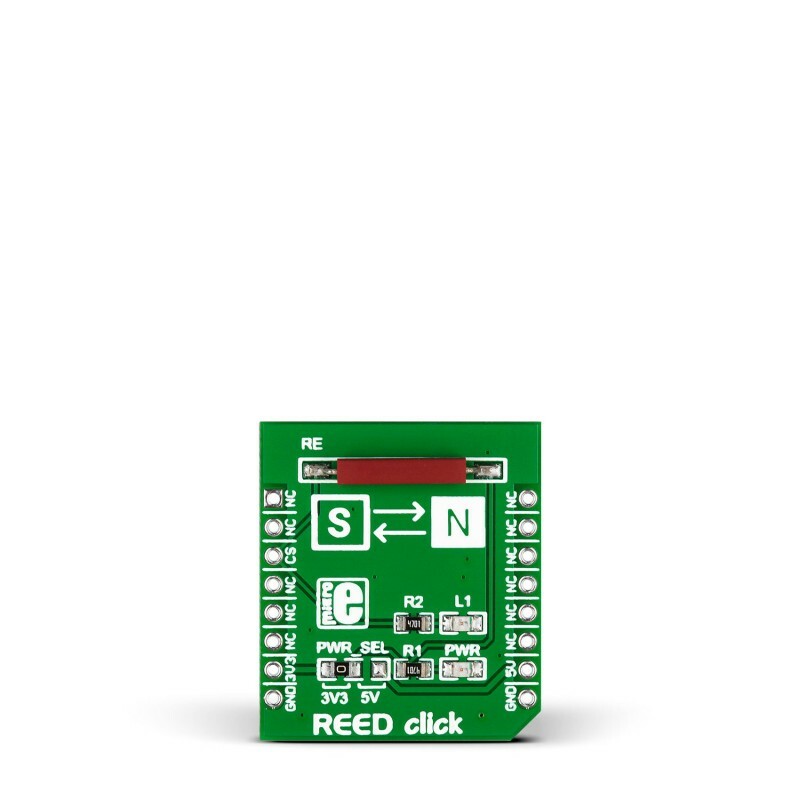 REED click is a simple board that carries a standard (Single Pole Single Throw Normally Open) reed switch. A reed switch comprises of two thin magnetic contacts sealed inside a casing. One contact is a magnetic north pole, the other a south. The two contacts are separate, until a magnetic field is applied which snaps them close, activating the switch. 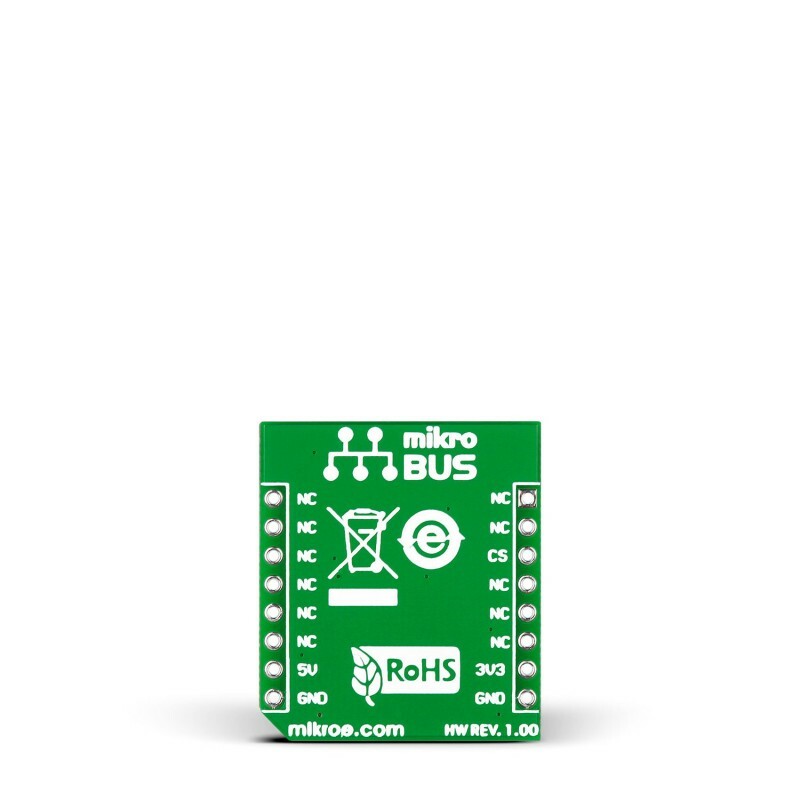 A single mikroBUS pin (CS) connected to the MCU outputting a 1 or 0 depending on the whether the switch is close or open. 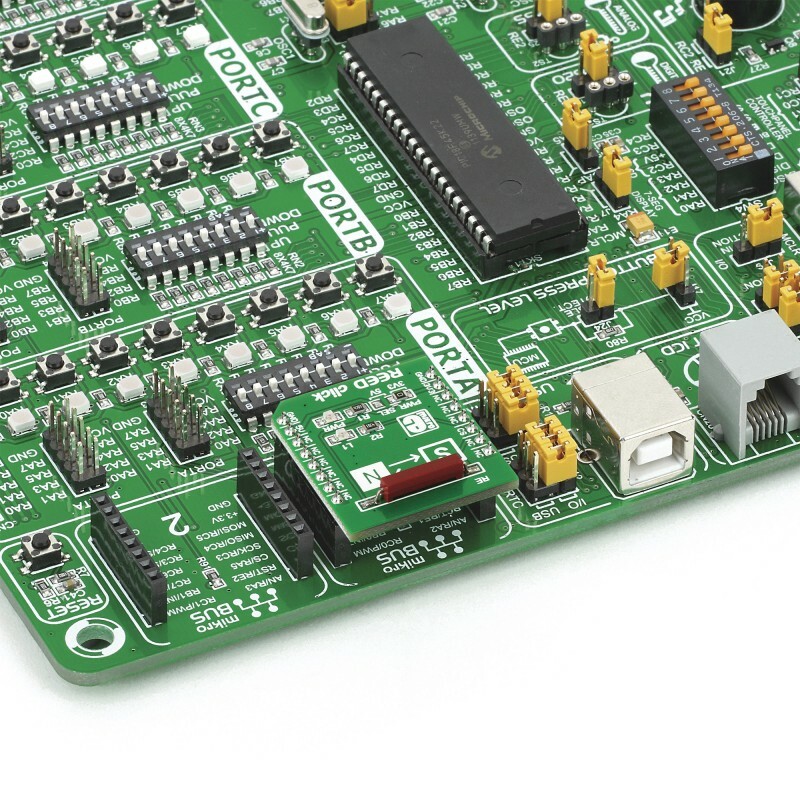 REED click is designed to use either a 3.3V or a 5V power supply. Applications Reed switches are widely used in a variety of applications: door sensors, liquid level sensors (by employing magnetic floats and reed sensors along the wall of the container), but also protective casings for phones, tablets, ebook readers etc.